The Canadian Dental Association and the Canadian Academy of Pediatric Dentistry recommend that babies get their dental/oral assessment within 6 months of the eruption of the first tooth or by the age of one. This first visit is to ensure that there are no abnormalities in your child's mouth and to address any concerns that parents may have at that point. This is also an opportunity for the parents (especially first-time parents) to learn how to prevent early childhood decays and to properly care for their children's teeth. Once the initial screening has taken place, your child is recommended to return to the dentist by age two or three, when all the baby teeth have erupted. 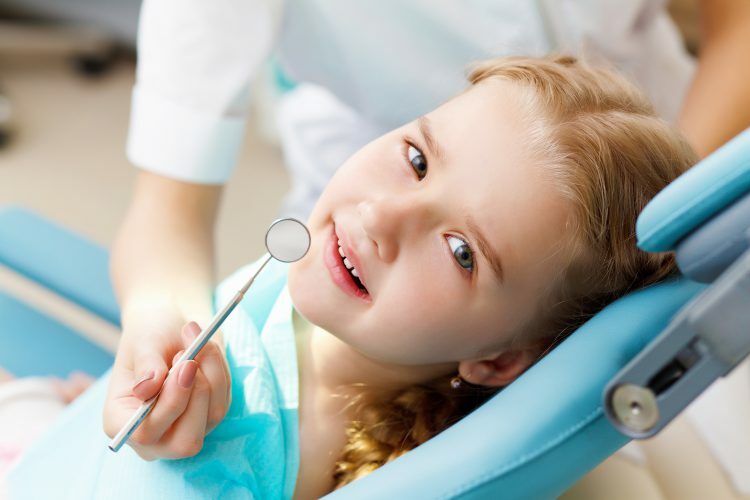 During this visit, we will have a thorough look at your child's mouth, and discuss with you regarding clinical findings related to cavities or abnormalities (if present) and provide you with a feedback on your current home care. Not only do early dental visits help children establish a "dental home" for themselves, they also provide you with the opportunity to discover the oral hygiene practices you have established for your child are sufficient. Most importantly, they allow us to identify potential problems before they become too serious. Evershine Family Dentistry is a family friendly dental clinic in Surrey, BC led by Dr. Anjanpal Kaur Bhalla. With a state of the art office, you can expect nothing less than exceptional service by Dr. Bhalla and her team. © 2017 Evershine Family Dentistry. All Rights Reserved.